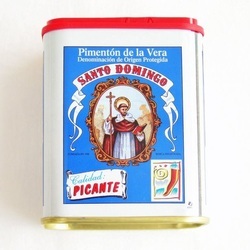 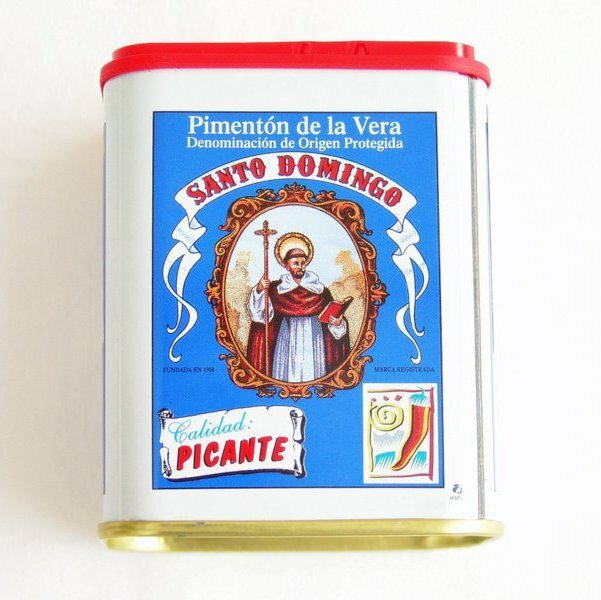 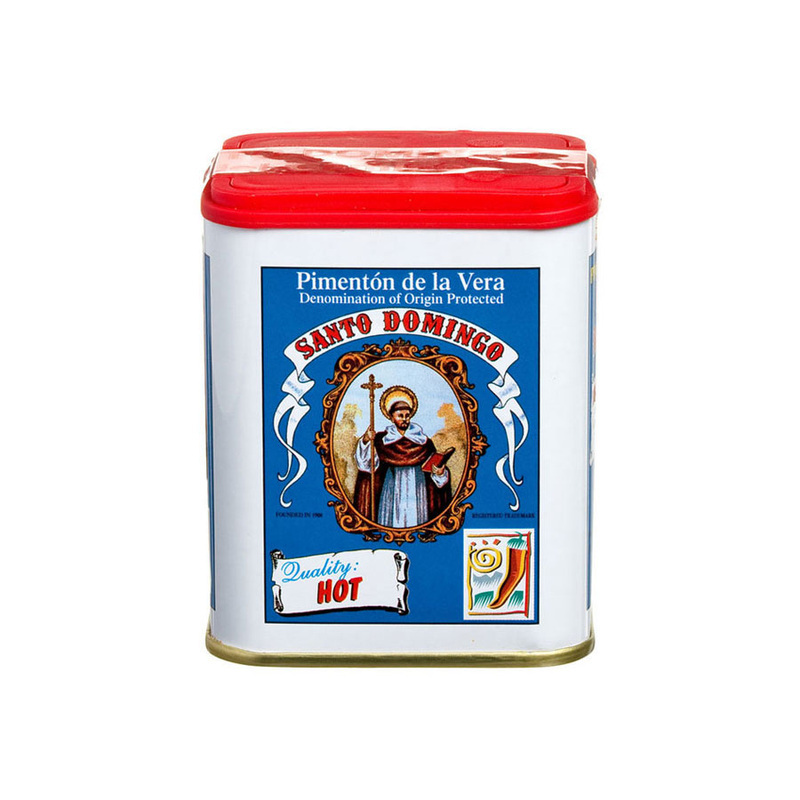 Hot smoked paprika from La Vera Pimentón de la Vera PDO. The smoked peppers are ground on stone mills to maintain a low temperature and preserve their organoleptic properties. 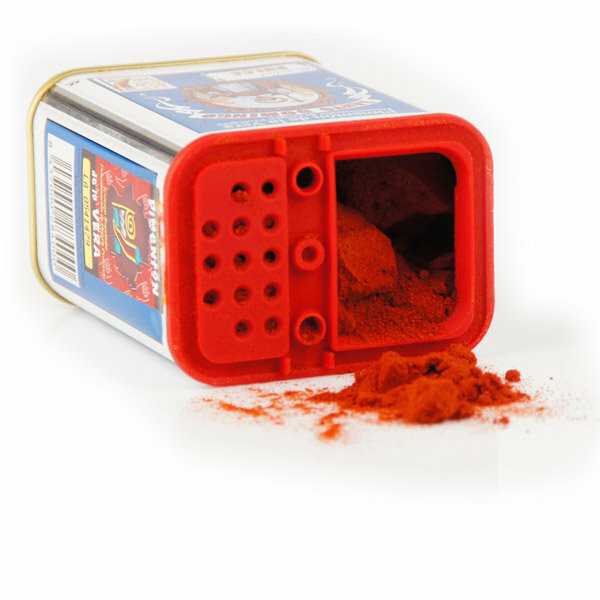 Grinding is monitored by eye to achieve the right degree of fineness and colour and it is a thicker ground, more artisan pimentón than most. 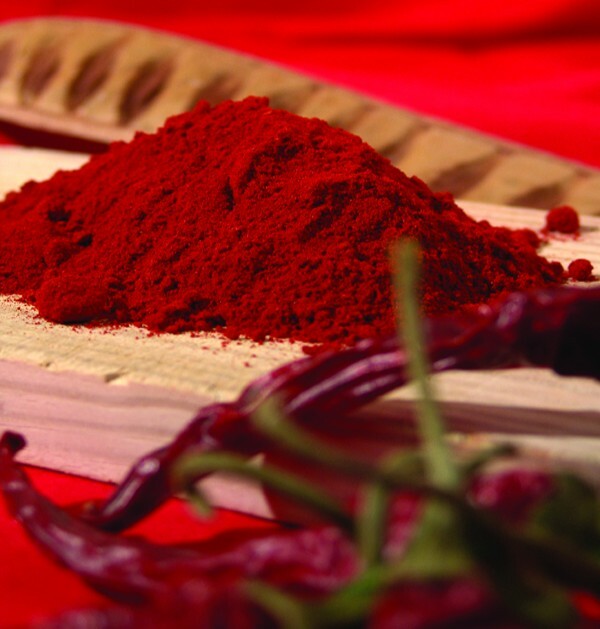 The best crops of paprika (pimenton), are found in La Vera in Northern Extremadura, where the soil & climate are ideal for many varierties of the sweet peppers that have been cultivated since Christopher Columbus brought the first ones back from his second voyage to America.